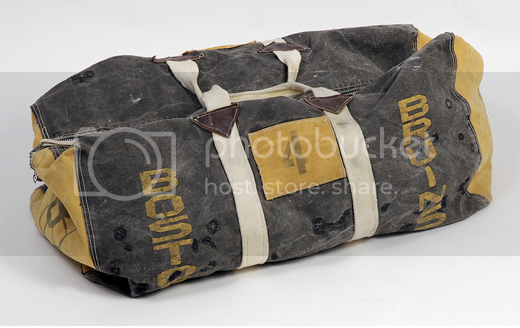 a time to get: Bobby Orr's Bag. Found this in an old auction book I picked up at Rose Bowl. Did a little research, the thing went for $3,047 in '07 (what's that... .14cents today? (*noted IR)). Used in the early 70's, and used lovingly. 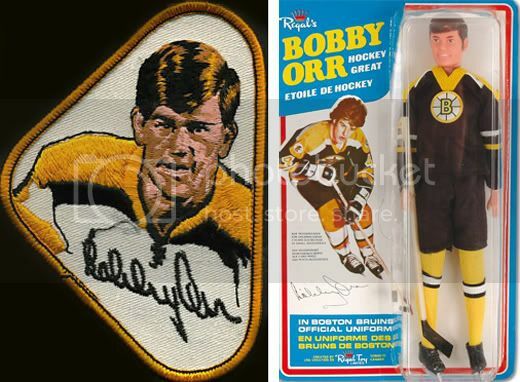 The auction states that all the repairs on the front are from Bobby's custom of putting the bag under his seat while lacing up his skates. Awesome. It's a nice piece though, yeah? 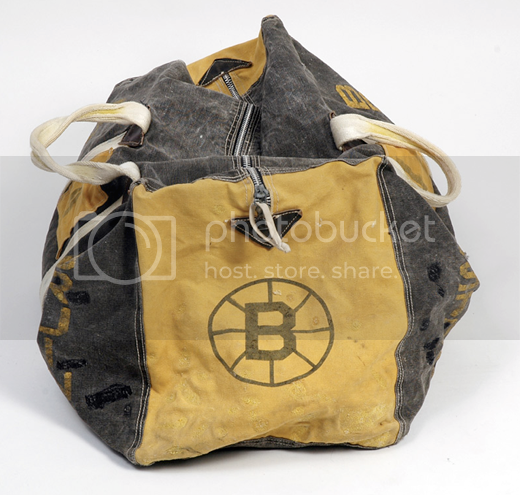 Check the Cup winning goal from 1970 (photo by Boston Herald) at the bottom, and the quick highlight reel. Careful to catch the slow-mo break down of one of his shots. 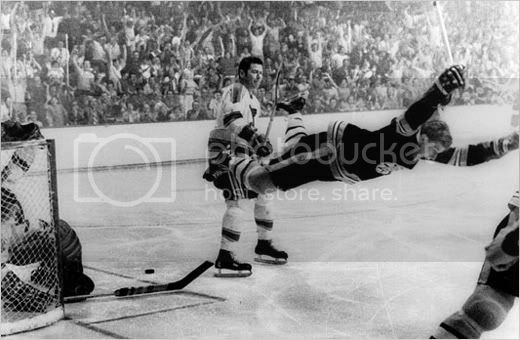 I know nothing about hockey, but this shot is unreal.